From its inception in 1892, the University of Chicago has grown to operate two major national laboratories, an internationally renowned hospital, a pre-K-12 private school, a charter school with three distinct campuses, a professional theatre, museums, and the nation’s largest academic press. The university also has a strong global presence with facilities in London, Paris, and Singapore. 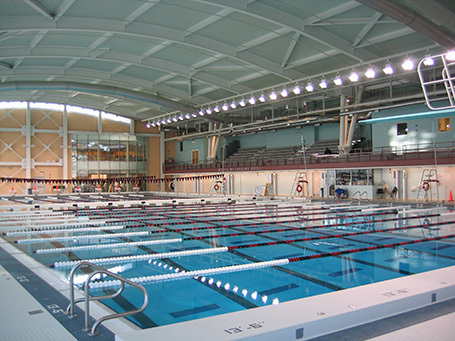 In 2009, the University of Chicago retained Counsilman-Hunsaker to evaluate the pool and its respective support systems while showing Best Practices in current industry standards and green sustainability. The report provided new technologies and equipment that would enhance the operations of the facility; moreover, Counsilman-Hunsaker met with users, staff, and lifeguards to create a maintenance schedule for future repairs as well as operational concerns to assist the staff in maintaining the facility over the next several years.